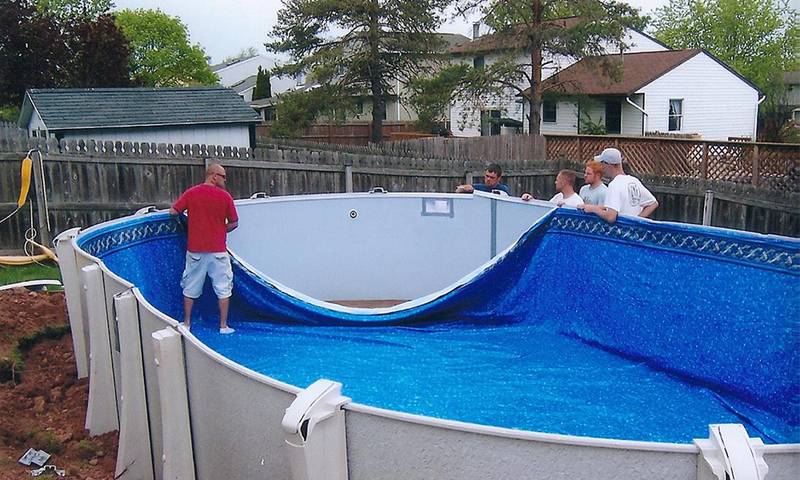 Whether you want a do-it-yourself pool kit, or a professional package with expert installation, we have the perfect size, shape and style for you. Choose from the best brands, constructed with the finest materials, factory-approved techniques and full warranty protection for years of enjoyment. The Trevi 186 has superior quality resin top seats that are uniform all around, UV-protected against discoloration and have molecular memory to avoid warping. And they’re also scratch-proof! Trevi’s uniquely-designed double uprights for oval-shaped pools ensure greater resistance against water pressure while remaining aesthetically pleasing. 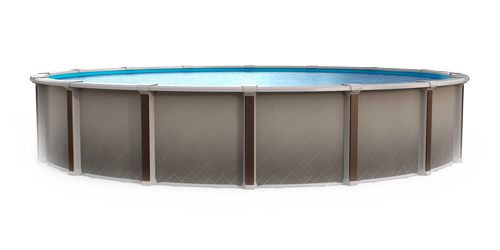 Made from galvanized steel, the bottom track guarantees a safer and sturdier pool. 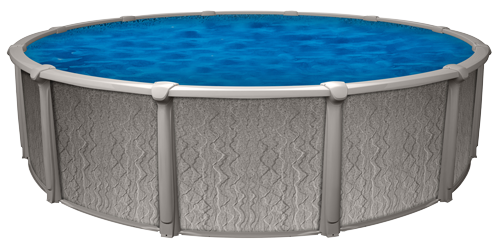 The “Stellar”is a sturdy pool made of steel, with an elegant resin finish. The Trevi 178 Stellar has superior quality resin top seats that are uniform all around, UV-protected against discoloration and have molecular memory to avoid warping. And they’re also scratch-proof! Trevi’s uniquely-designed uprights for round shaped pools ensure greater resistance against water pressure while remaining aesthetically pleasing. Resin bottom Safety Track ™, the bottom track guarantees a safer and sturdier pool. The Zenith’s steel structure is entirely protected by a variety of finishes. 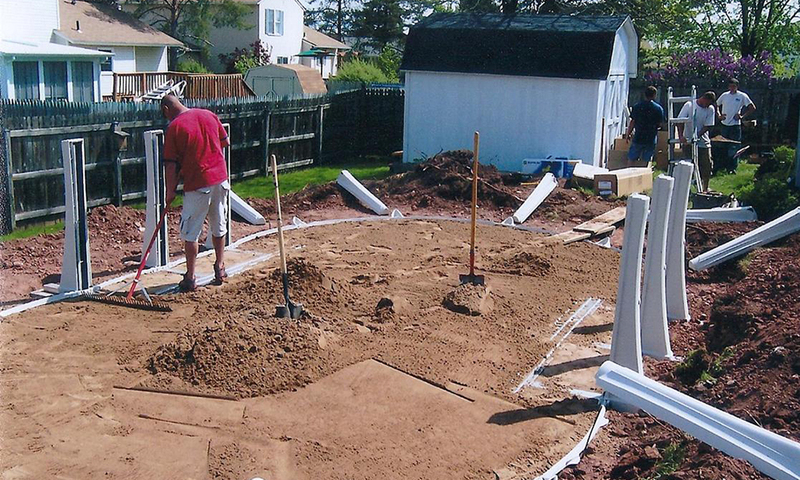 These optimizeﾠthe pool’sﾠresistance to corrosion while preventing condensation between the liner and the wall, ensuring a long, solid life for your pool. Redefining the standards of beauty and inner strength. Blues’ out-of-sight styling, quality components and easy upkeep will have you swimming in no time. World-class components make all the difference, including textured walls, ultra-strong uprights and top rails, solid joints and continuous-curve top seats. 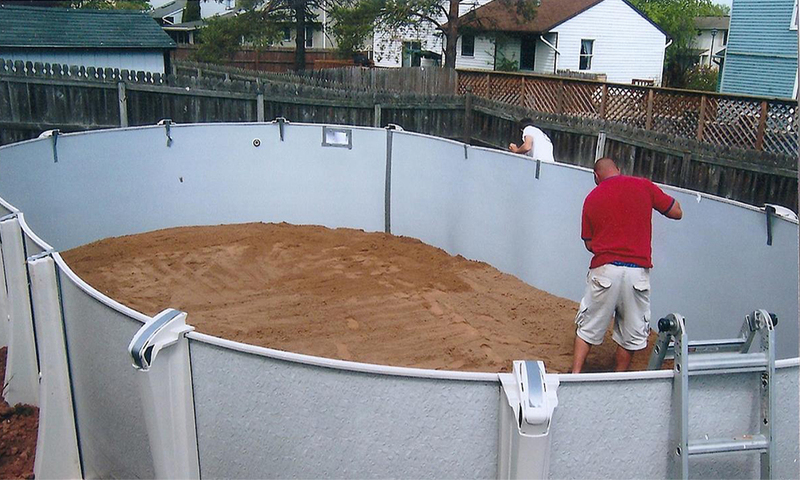 Aqua Leader pools have alkaline cleaned steel walls with hot dipped galvanized coating for years of use. A clear protective coating adds resistnace against weathering. As the world’s first resin pool, Quantum played a major role in putting Aqua Leader at the forefront of pool design today. 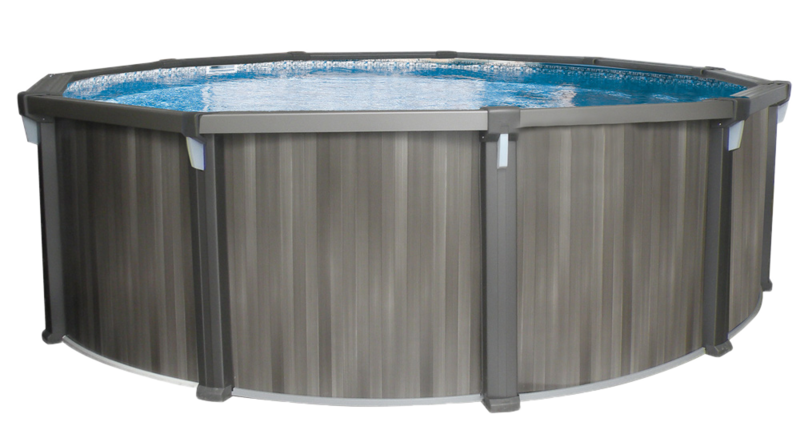 Its ergonomic profile also made it the first truly round aboveground pool, with precision-molded connections that fit together perfectly every time. This is a pool with long-term benefits you’re sure to appreciate, and technical and aesthetic qualities that will keep you in the swim year after year. The Quantum brings aesthetic qualities that will keep you swimming year after year. The printed pattern on the uprights presents a visual style that will provide an attractive enhancement for your backyard enjoyment.